Don’t be shy—take a seat on this farmhouse-style loveseat. 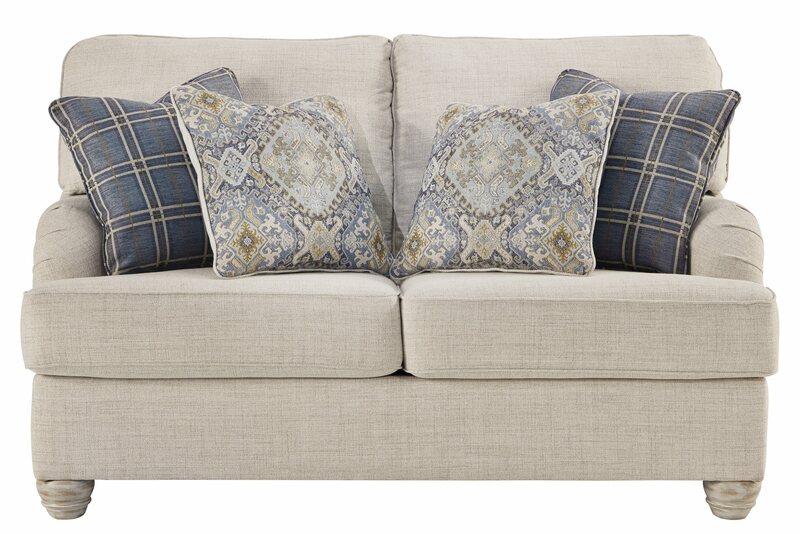 Dressed in a modern and relaxed linen-weave upholstery, it’s the perfect complement to rustic accents with its light and airy palette and elegantly turned feet. What a picture perfect finish to any shabby chic or countryside living room.